General Motors Korea Company delivered record domestic sales for the month of October with a total of 16,736 vehicles delivered to customers in Korea. GM Korea saw a 14% year-over-year increase in domestic sales thanks to an uptick in demand for the Chevrolet Spark, Aveo, Malibu, Trax, and Camaro SS. Sales of Spark rose 18% in October, totaling 6,412 units sold domestically. Sales of the Aveo increased 14.7% as the recently-released New Aveo. 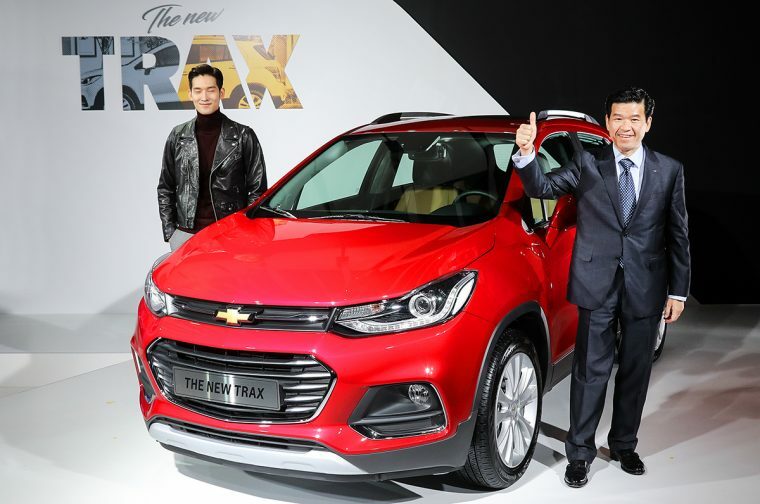 Sales of the Malibu were up 226.8% at 4,428 units with the launch of a new enhanced package in October, and sales of the Trax were up 12% at 1,297 units as the new and upgraded Trax is rolled out across the country. Sales of the recently-launched Camaro SS totaled 308 units. GM Korea export sales totaled 38,533 units, bringing total sales for the month to 55,269 vehicles. Through the first 10 months of 2016, GM Korea sales total 489,842 vehicles; of that total, 345,116 vehicles have been exported to other markets, and 144,726 vehicles have been sold domestically.